Cooking the basics, with confidence! Have you always wanted to learn how to cook, but don't know where to start? Whether you're intimidated by complex recipes and glossy photographs, or you're a student moving out for the first time, this book will give you the tools you need to gain confidence in the kitchen, and experience the satisfaction of mastering a fundamental life skill. 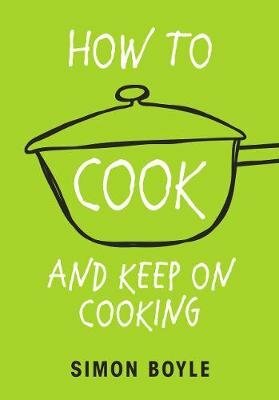 Written in a refreshingly direct and friendly style, this concise handbook covers all bases: equipment, weekly meal planners, how to follow a recipe, basic nutrition, popular cooking techniques and, of course, recipes! The recipes revolve around key ingredients - eggs, pasta, pulses, meats and stocks. With easy to follow instructions, you'll be whipping up full roast dinners, aromatic curries and deliciously sweet desserts, in no time at all. So why not take the first step? Start cooking today!